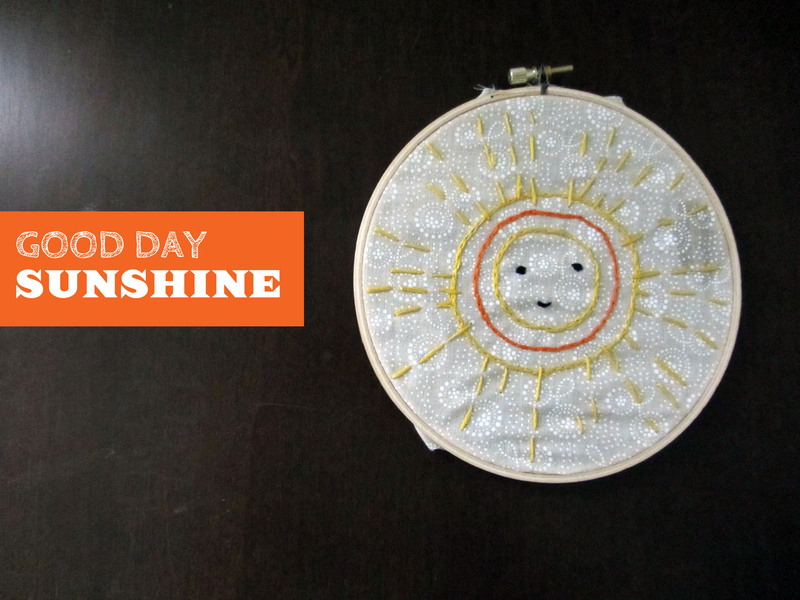 Embroidered this on our way home from southern illinois today….inspired by one of milo’s favorite songs! This is another thing I saw floating around on pinterest. I asked a few weeks ago where to get cute little knobs like this, and everyone said “hobby lobby.” There really isn’t one in the city, so I just kind of shrugged it off. Well, when we ended up in southern illinois this week, I remembered there was a hobby lobby in carbondale. So off we went, and everyone was right. THAT sure is where you go for cute little knobs! AND they were on sale this week for 50% off. I got six knobs for around $1.50 a piece. My uncle found some wood in his garage that worked, and helped me with the drilling. 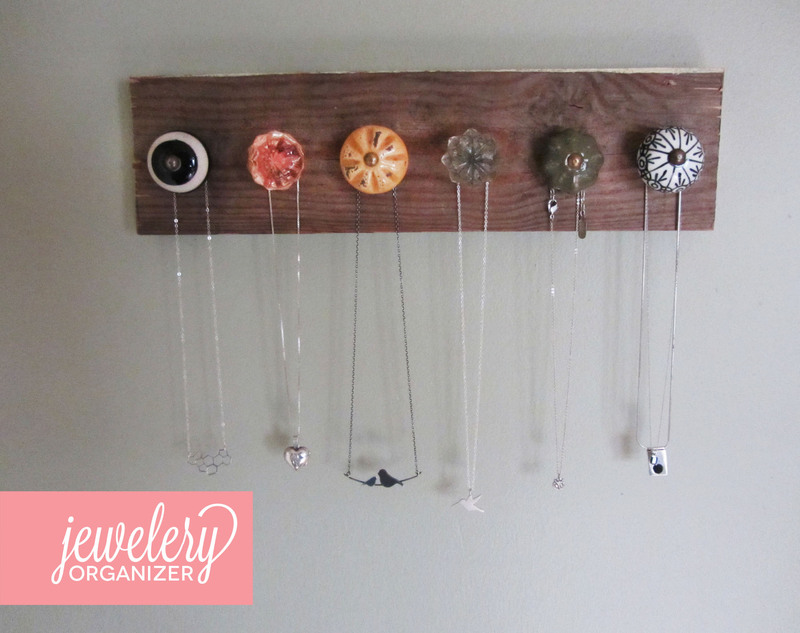 And just like that – for under $10, I made my own jewelry organizer. 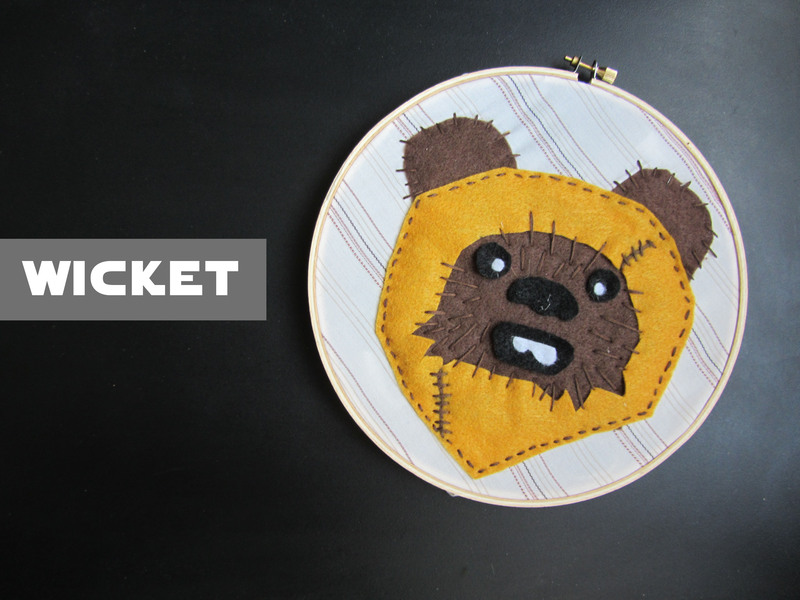 We’re a little star wars crazy over here. I saw something like this on the internet, and made my own version. I used an old shirt, left over from the bunting project, and felt pieces, then embroidered it into place. 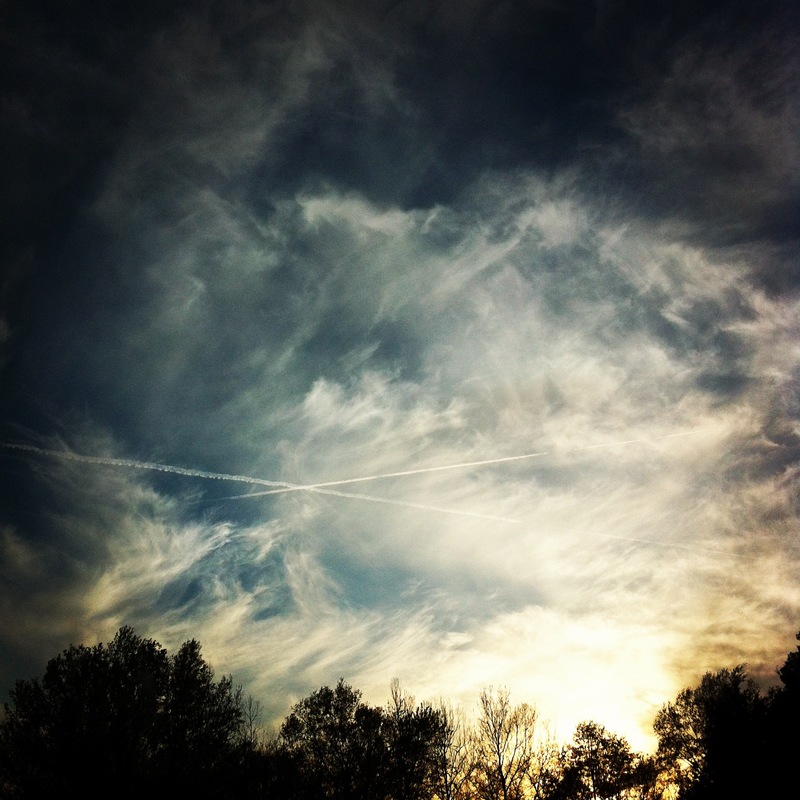 One of my favorite things about the drive to southern illinois are the sunsets. I hand-sewed this little felt monster on our way to Southern Illinois. Milo quickly claimed it as his own, naming him Han solo, and then later changing his name to Luke skywalker. 86. peanut butter chocolate chip oatmeal cookies. Everything that is good about a cookie….all in one cookie. I made these cookies once and brought them to a little party where I only knew the host. Later that day, someone from the party found me on facebook and sent me a message telling me not to tell her mom, but these were the greatest cookies she has ever had. 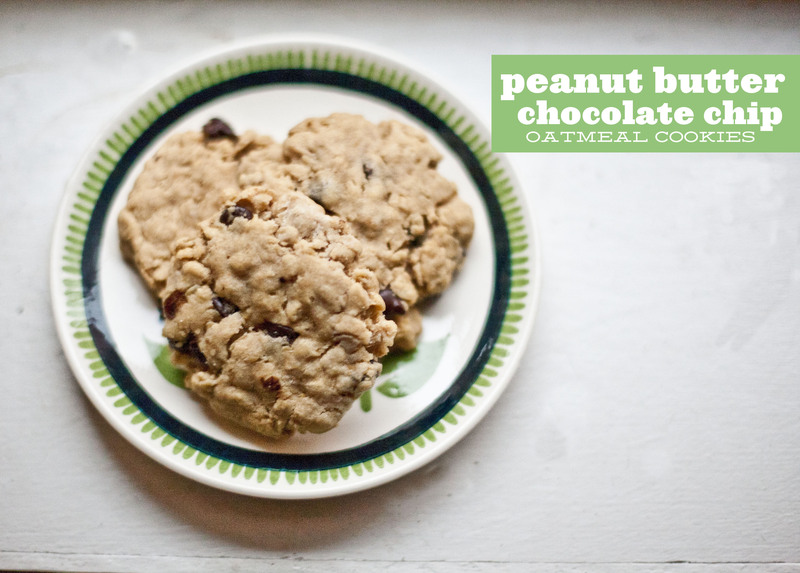 These cookies are adapted from the Peanut butter Oatmeal Gigantoid cookies found in one of my favorite cookbooks, Vegan with a Vengeance. 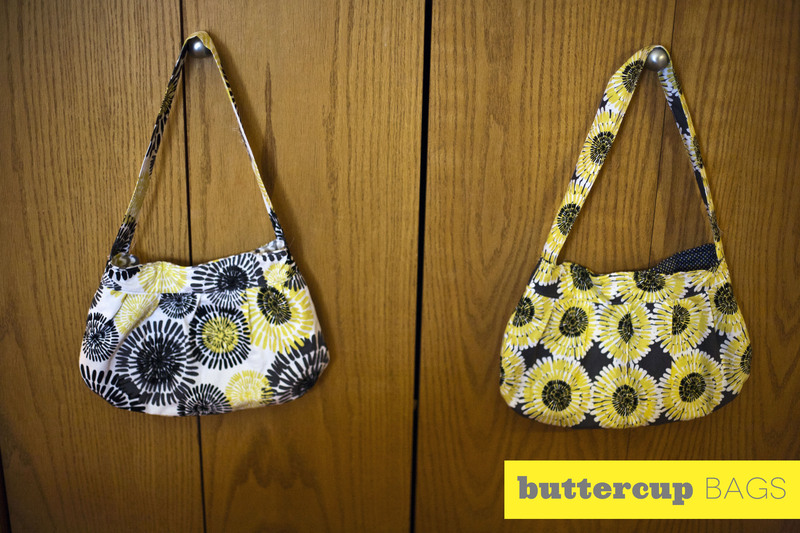 I took a class at the needle shop a while back to learn how to make these buttercup bags. Right after the class I cut a bunch of pieces out to make a few more. Today I finally put those pieces together and finished up two of them. Isn’t this a cute idea? Yah, I thought so too. 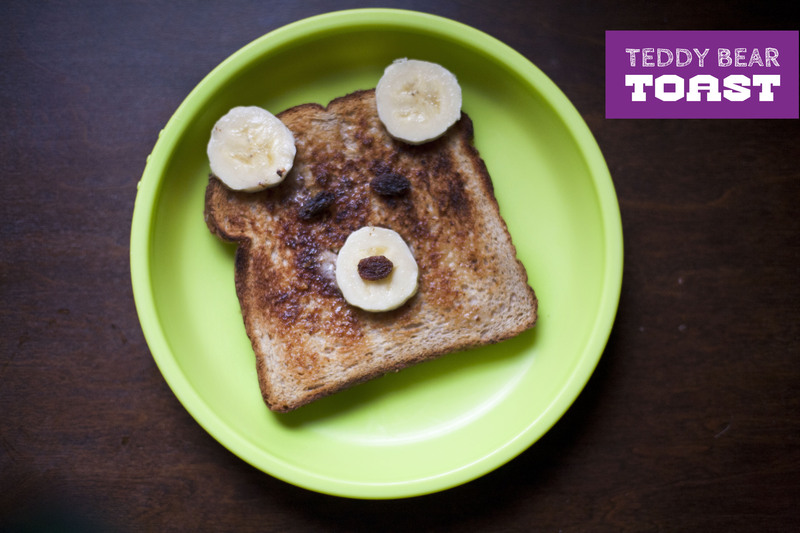 Milo, on the other hand was appalled and frustrated because it wasn’t tiger toast. He refused to eat it. So if anyone knows how to make tiger toast, send it my way. Thanks! 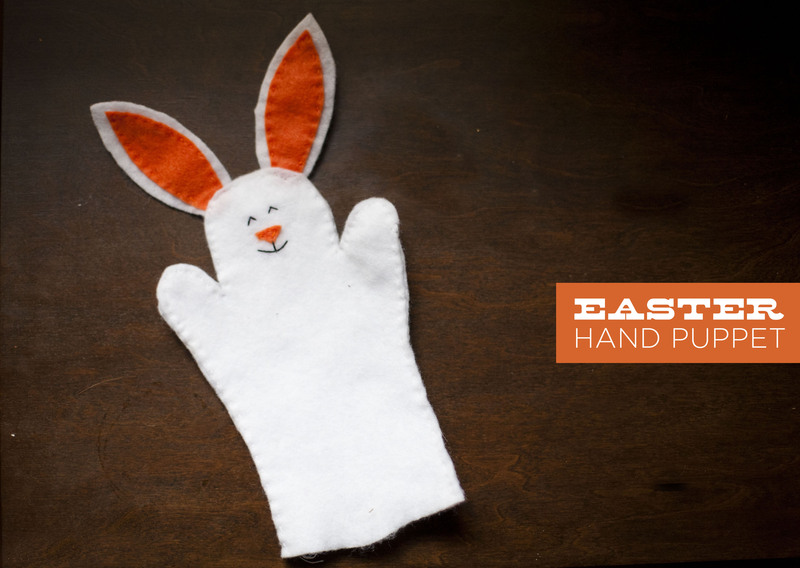 This is a super easy, hand-sewn, felt hand puppet that I made for Milo’s easter basket. Original post and directions found here. 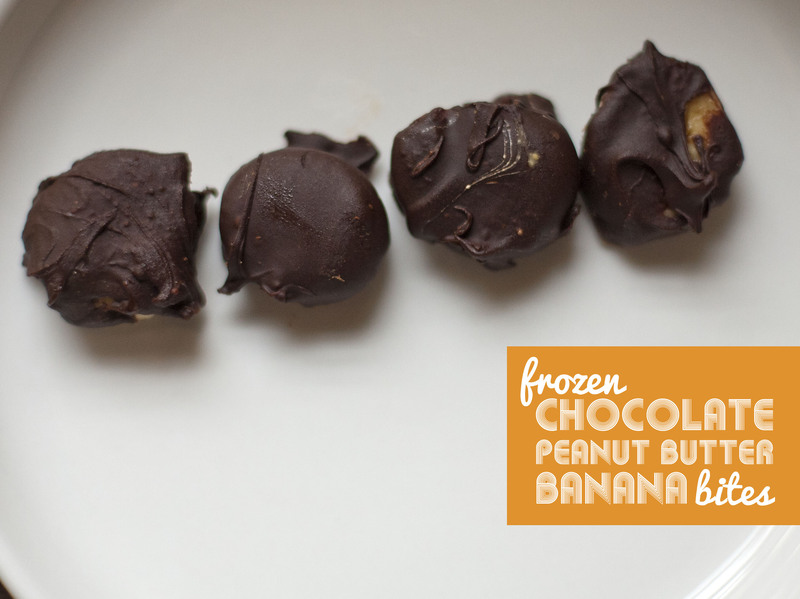 82. frozen chocolate and peanut butter banana bites. Chocolate, peanut butter and banana. Three of my favorite things. I’ve seen variations on pinterest, so I figured I’d take a stab at these. They looked pretty simple….and they are…except I can’t for the life of me ever figure out how to get chocolate to melt and be all spread-y and thin and nice. One of the recipes said to add milk; I know from the past anytime I do this, my milk gets hard and clumpy. So I did it anyway, and sure enough, that batch was ruined. I tried adding a little earth balance to that batch to make it thinner, but it was a lost cause. To make these all I did was chop up a banana, spread some peanut butter on each piece, melt some chocolate (just melted it and worked with it – was kind of thick, so it was messy and hard to work with towards the end, which is why these are NOT pretty), and then dipped them in the chocolate. Put them in the freezer and now they are ready to go. These will make a great after-dinner treat!